Butterfly Reflections, Ink. 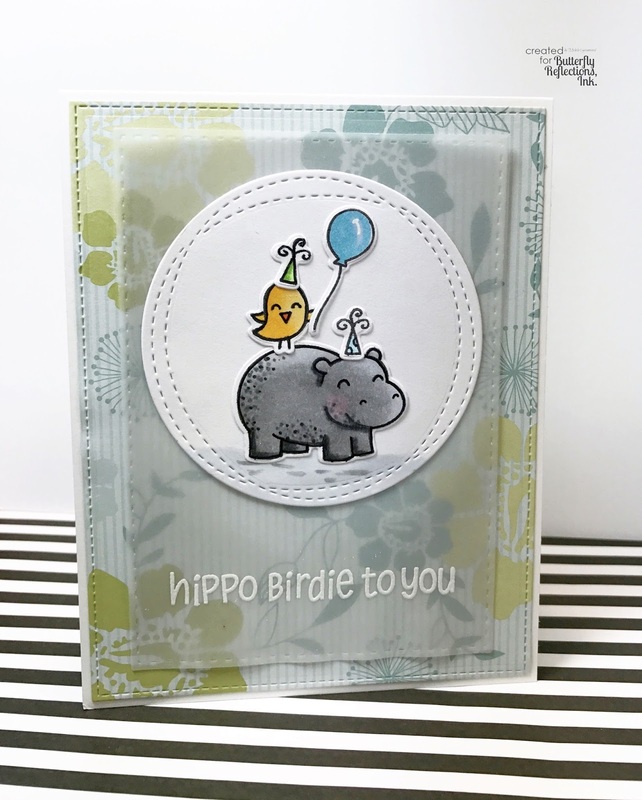 : Hippo Birdie to you...and you...and you...AND ME! 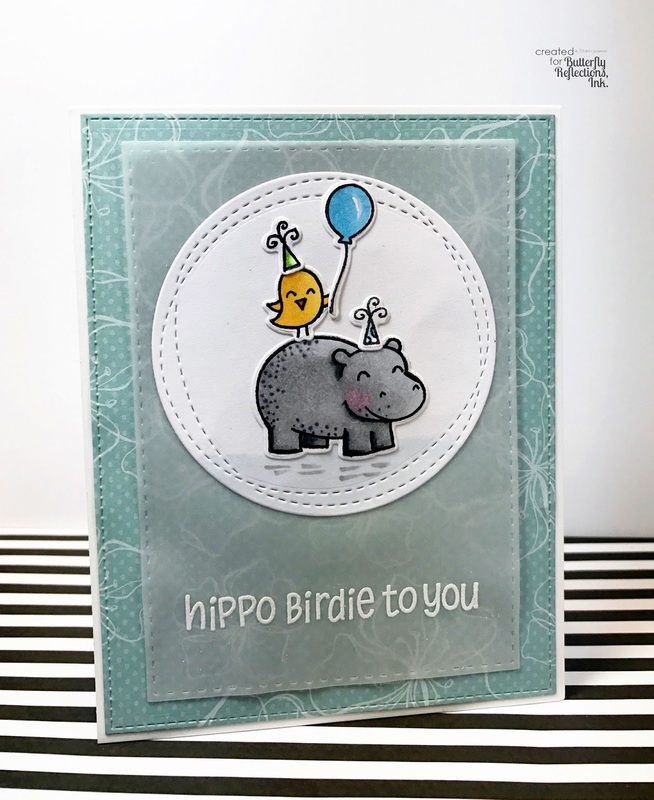 Hippo Birdie to you...and you...and you...AND ME! How special is that - I get to post on my BIRTHDAY - my favorite holiday of the year! :D Yes, I'm really that crazy about my birthday. HA! 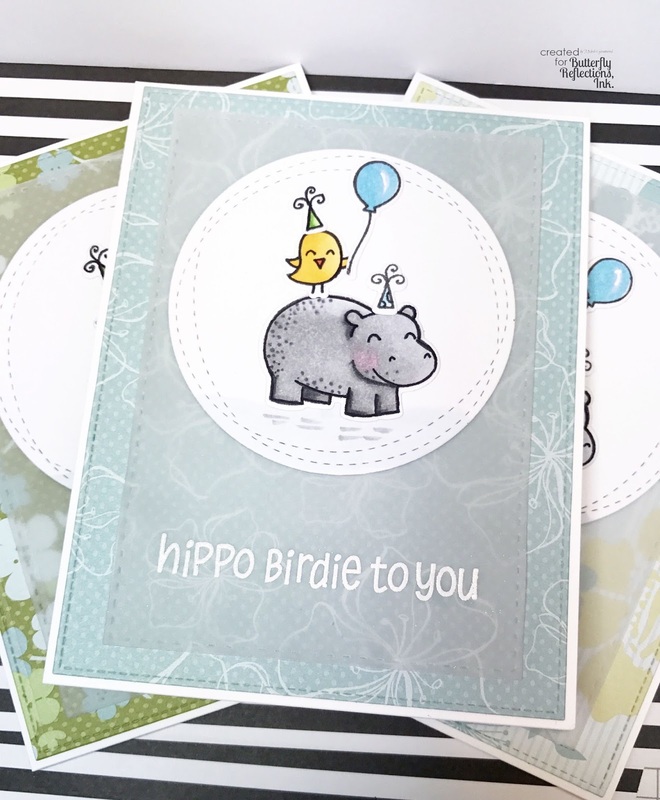 And of course, I thought it best to make some birthday cards - no, I promise I'm not sending one to myself! 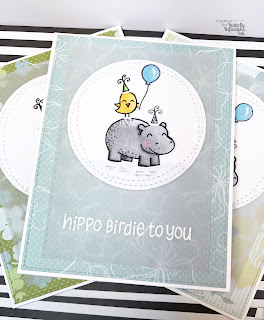 I found these super CAS card samples online, but sadly it was just a photo and didn't link back to the original post, so if you are reading this and you made cards JUST LIKE THIS with polka dot paper, speak up, I'd love to give you credit for the inspiration! I stamped out all the images on Copic paper, die cut and colored with Copics. I also die cut all the other pieces - patterned paper, vellum, and wonky circle. 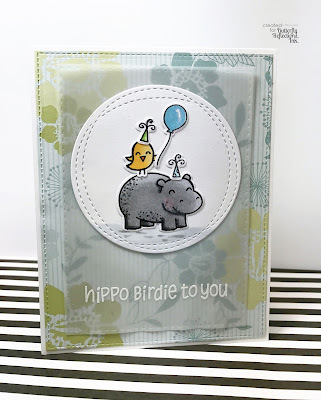 These were soooo easy to create; once everything was colored, I embossed the sentiment on vellum and assembled everything layering onto a white card base. 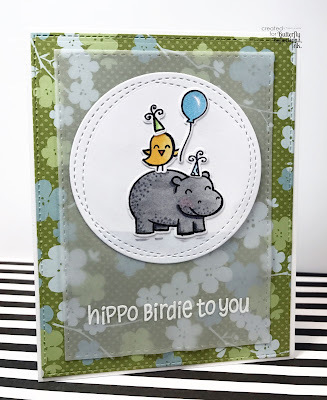 So fun and so simple and a great way to use up scrap paper! Thanks for stopping by; hope your day is spectacular! 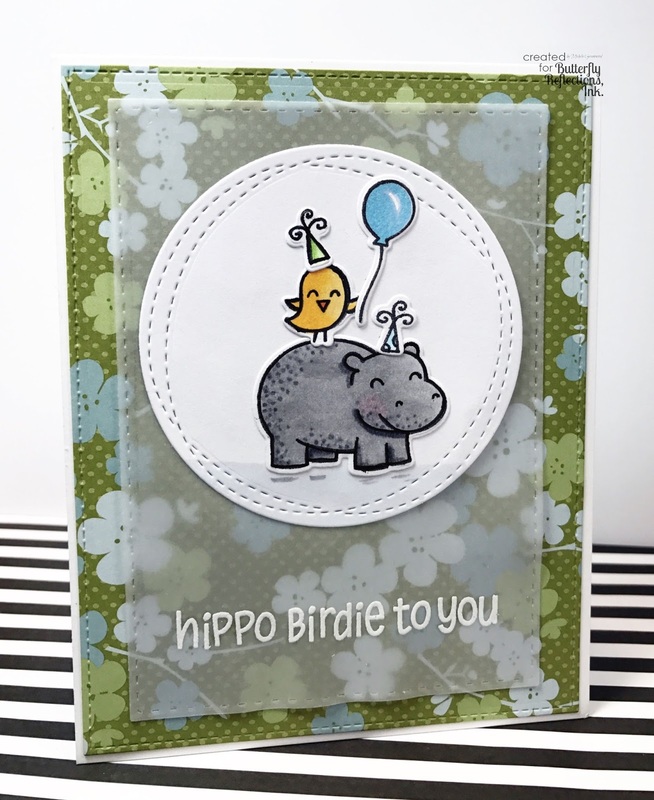 Adorable card. Hope you are having a wonderful birthday.